Kashi, Bare Naked, Morningstar Farms, and Gardenburger – all brands you probably have been relying on as healthful foods to feed your family – are also contaminated. Kellogg’s has promised to change the labeling on their Kashi brands – but they also promised that their products had hardly any GMOs in them in the first place! Read: Kellogg’s Foods are Full of GMO Sugar Beets – Join the Boycott! Kellogg’s is feeding children pesticides & antibiotics, without their parents’ knowledge or consent. Are you going to tolerate that? You can bet that the ‘vigorous testing of their products is a lie, too. They told us that all these brands were verified as non-GMO. The truth? Kashi lied. 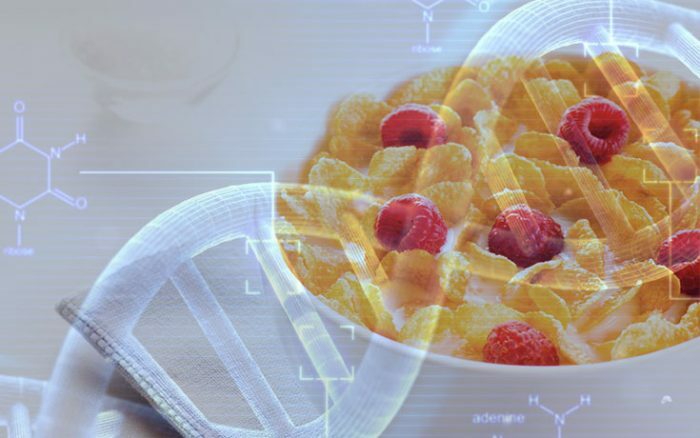 Cornucopia Institute tested Kashi’s GoLean cereal and found it to contain 100% genetically engineered soy. The company’s response? Just get used to GMO contamination! You can boycott them, petition them, or call them at 1 (800) 962-1413, but I suggest you make it very clear that you won’t be eating their poison products any longer. Enough is enough! And none of this GMO and none of these toxic chemicals are necessary. Why do we still have this stuff? Thank you so very much for this information. Very much appreciated. This is an indictment of Capitalism. Profits before people. How is it you get to print these lies without repercussion? There are no pesticides in GMO foods, and no proof they are toxic to anything. You failed HS biology and couldn’t get into pre-med, am i right? I use a program named “Buycott” on my phone at the store to detect it the product is gmo or not. That way I don’t have to go by the label. Just click the Bar code and it identified it. Free program. It’s not just the fact that name-brand foods may be incorrectly labeled as non-GMO when they are effectively so contaminated that they cannot possibly qualify as such. Farmers in the U.S. and Canada have had to face extensive court battles, which they typically lose because they don’t have unlimited deep pockets, to fight accusations of STEALING GMO (patented) food crops. That’s because the “cross contamination” of a neighboring farmer’s field, be it corn or canola, can essentially “infect” their own agriculture lands, and once those patented seeds are found they are in for a huge lawsuit for not paying the GMO premium. The upshot? Not only are non-GMO crop farmers faced with essentially flunking their GMO-free labeling objectives but they are sued by Big Agri for the presence of neighboring GMO crops! Watch the documentary “Food Inc.”. In fact, not only watch it but buy it with the intent to pass it to a friend. (And, likewise, have them promise to do the same.) The average American is waking up to the healthfulness of organic foods. What they don’t know, and should soon appreciate, is that potentially many of their GMO free food brands, for all their attempts to shop smarter/healthier, are “cross contaminated” as the Kellogg spokesperson put it. The legal tables need to be turned on Monsanto such that farmers who attempt to grow organic crops can sue and win on the grounds that pernicious and “invasive” GMO crops have become so ubiquitous that they no longer can justifiably enjoy patent protection. Once there is NO PATENT PROTECTION there will be no money in that particular product for a big developer like Monsanto. Once the money literally drops out from beneath such a crop, it may cause Monsanto to abandon the massive promotion of existing (contaminating) products, and with any luck they can be weeded (literally!) out of the environment. It’s an essential strategy, IMO, that the likes of Monsanto lose patent protection on the basis that this contamination is so widespread that the patent in question is meaningless and therefore uninforceable. Once that objective is achieved, the next objective would be to render Monsanto legally responsible for the cleanup, not unlike the way the big rocket developers of the 1940s-70s (defense contractors) ultimately became responsible for cleaning up contaminated EPA superfund sites on former test sites. Is there a list of non GMO cereals? I won’t eat any of the above unless they choose labelling. This is in the US. we hope that here in the Philippines, it is not like that. What about natures path and simply nature? Both r organic. Eat nothing in a box is what Richard L. Stump of Muncie indiana says, but being he is 90 years young remember the grains of salt. If it is in a box it has preservatives which prevent biology even in your silly self. You are what you eat, do you wanna be a box or end up in a box prematurely then head Dr. Stumps advise and add organic sulfur to your diet to take the toxins you have been feeding your kids. Haven’t eaten any kind of cereals in YEARS. We dropped all grains 2 years ago. Love all your comments on sulfur, that I subscribed (followed) to your Disqus account. The only safe cereal is Familia. DO NOT EAT any American cereal. So sad that a sick circle of life exists here in the United States. Big pharma wants you ‘to ask your doctor’, big insurance wants you to bankrupt all the while big banks are willing to lobby for big ag. We have very sick people in government! Don’t forget that most cereals are made with fluoridated water. So, they also contain the toxic components of fluorosilicic acid, which are about 23% sodium fluoride (man-made rat poison), lead, mercury, arsenic, barium, cadmium and polonium. The latter three are known radioactive carcinogens. The poisoning of our air [chemtrails – methyl aluminum, barium], water [the poisonous cocktail of fluorosalicic acid, containing 23% sodium fluoride (man-made rat poison), lead, mercury, arsenic, barium, cadmium and polonium], our food [Bt-toxin, rat poison, glyphosate, steroids, neonicotinoids, antibiotics, 2,4-D, GMOs], medications [aluminum, fluorides, etc.] vaccines [mercury, aluminum, formaldehyde] and the disruption of our climate with HAARP and chemtrails are obviously deliberate and in accordance with the UN’s Agenda 21 to depopulate the planet. It’s Us against the banksters’ and bleedership’s War On All Humanity (WOAH!). It’s time we defended Ourselves. Oh NO! I have been spending more on those very products for a long time, BECAUSE they have the non-GMO label. If anyone knows of any cereals that really don’t have GMO products, please let me know. check out the Paleo diet … now u know ..
geez another company I am going to have to boycott. Pretty soon their won’t be anything safe to eat unless you grow it yourself. We are so screwed. Hate to break the news to you, but even though one grows their own super garden, the truth is, they get the chemtrails unloading toxic metals onto their garden via rain. Honestly, nothing is 100% safe anymore. Sometimes we feel that its just a matter of time before all of us are deathly sick. ALL OF US. The wind blows it onto your non-gmo crops and it cross pollinates. Once this stuff is unleashed you can’t get rid of it. Truth in labeling…..not corn flakes…..CORN CRAP!